Living Strategies is a family owned and operated CPA practice based in Springwood QLD. We are passionate about small to medium enterprise, and specialise in asset protection, tax planning, structuring and developing business strategy. Our team is small but effective. We remain up to date with the latest in taxation, accounting and corporations law regulations. Our new clients have been entirely due to referrals from existing clients. The Living Strategies difference lies in our ability to relate personally to our clients. We take the time to get to know you, your business, your circumstances and your plans. Combined with our sound financial knowledge and business insights, you know you will get quality services tailored to your needs. 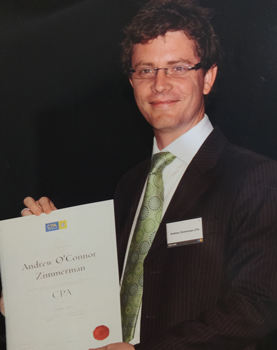 We are a CPA practice, so you have the peace of mind of knowing our skills and experience are recognised and certified by one of the top accounting bodies in Australia. We believe in providing our services with passion, integrity, commitment and heart. Work is an integral part of life. Our work reflects our beliefs and our care. Care for you as the client, for the environment and for people in need by donating a percentage of our profits to charity. We love seeing our clients succeed and thrive. Read here what they have to say about us! We are a proud member of the GASP Alliance. Simply add your email below to receive news, tips and reminders.